Lock in a great price for Riad Ajmal – rated 8.9 by recent guests! Lovely traditional decor, very friendly staff, good breakfast, good location. Good option for a longer stay as well. Neighborhood seemed safe (there was even a night guard on the street, when it got dark), it was quiet and there were several shops-restaurants near-by. Everything was great. Great staff, great location, great room, amazing breakfast. Thank you for our first experience with Marrakesh. The location was excellent. The riad was in the perfect area to explore all Marrakesh had to offer. Even things that were "out of the way" like the majorelle jardin was only a short mile and a half walk away. Staff went above and beyond, and were super friendly to boot. The staff was very nice and helpful. They served a very good breakfast. The location is good. It is near the heart of Medina, souks and not so far for another attraction like jardin Majorelle. Overall the riad was very nice, comfortable and clean. Most important, that it had working heating and during the winter season it is very important as it can be so cold during the night. 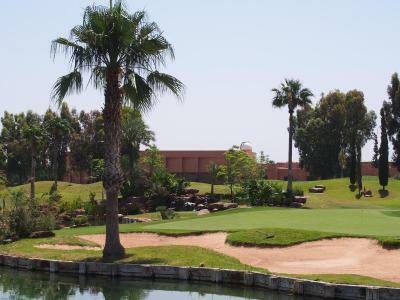 The location is perfect, in a silent, nice area close to the Souk. We had the most delicious tajine here, the breakfast was also excellent. The location was very good. The staff was really friendly and helpful with everything! The breakfast served was very good and too much for two people! 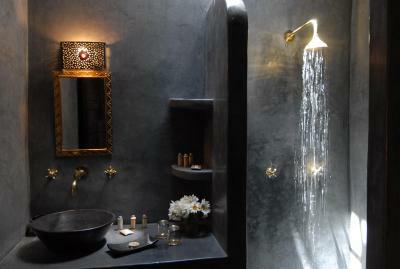 Set within a traditional-style Riad, each of the guest rooms is uniquely decorated with Moroccan furnishings. 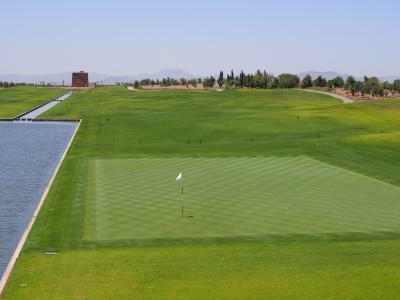 They are equipped with air conditioning and a private bathroom. 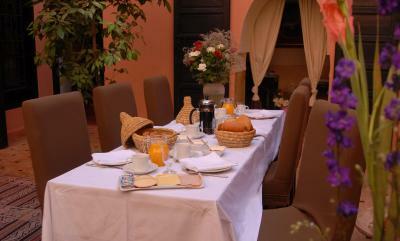 The Riad’s large patio has a small plunge pool and leads to a sitting room with a DVD player and a dining area. 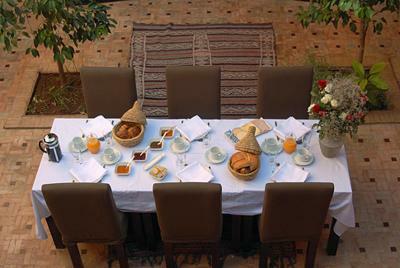 Guests can enjoy breakfast from Riad Ajmal’s shaded terrace offering views of the Atlas Mountains. Ajmal’s solarium and Hammam are also located on the terrace. The restaurant is open for lunch and dinner serving traditional Moroccan cuisine. When would you like to stay at Riad Ajmal? This air-conditioned room offers a seating area and a safety deposit box. It includes a private bathroom fitted with a shower. This large air-conditioned room offers a seating area, a desk and safety deposit box. It includes a private bathroom fitted with a shower. This air-conditioned room offers a safety deposit box. It includes a private bathroom fitted with a shower. House Rules Riad Ajmal takes special requests – add in the next step! Riad Ajmal accepts these cards and reserves the right to temporarily hold an amount prior to arrival. Please inform Riad Ajmal of your expected arrival time in advance. You can use the Special Requests box when booking, or contact the property directly using the contact details in your confirmation. The wifi was very slow. The connection was not very good, which was frustrating when you're trying to look things up and so some research. The bed was also a little small for two people. The bathroom is not fully separated of the bedroom. Breakfast very nice! Personal was very kind and sweet! It's easy to walk to Riad, even at night! there are private security services around, so no problem to walk alone at night. Unfortunately the WiFi is really slow, it didn’t really work. What was a negativ thing is if you pay with card they charge you with 5%. The fact, that was problem with paying by card. And that we had to pay 5% more because of paying by card (instead of cash). Great breakfasts, great view from terrace, welcoming tea, nice and clean rooms. 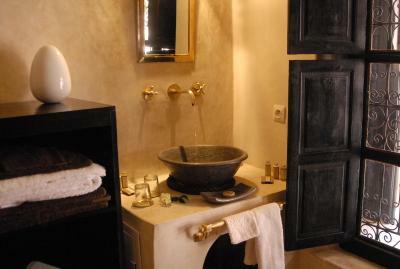 The Riad Ajmal was a really good choice for our first visit to Marrakesh. It is a quiet place where we could recover from the noise of a crowded city. Our room was very spacious and stylishly decorated, as was the whole riad. The small courtyard has two beautiful orange trees, a small pool and it is atmospherically lit. From the roof terrace you can enjoy the beautiful view over the rooftops of Medina and the Atlas Mountains. 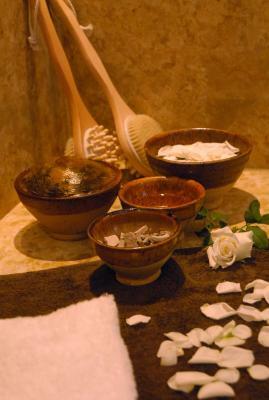 The staff was very hospitable and friendly, they took very good care of everything. We´ve appreciated the possibility of having breakfast at different times. I can’t start my review without so many thanks to the lovely and supportive staff: Betty, Ahmed, Jamille. They made so many efforts to improve our morrocan experience, trying to help us in every single thing, we’re so thankful for that. Breakfast was simple but typical and made to order by staff - everyday, they asked us about what time we’d like to eat, a really personal treatment. Our bedroom was big and great, with air conditioner, hot shower and a tradicional morrocan decor. The pool is small, but really worthwhile in the end of a warm walking day. At first, I didn’t understand how things work in morroco and got a little bit scared with the neighborhood, then I understood it’s a safe and calm place, close to the mainly square and the Zouk. I’d certainly stay in the Riad again and recommend to my friends.